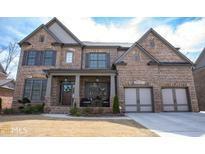 Find Buford, GA Homes for sale. View Photos, Maps and MLS Data Now! The Townes Of Avondale - The Community Provides An Inviting Pool To Relax By During The Hot Summer Months And Well Maintained Sidewalks That Are Lit For A Nice Stroll Around The Neighborhood. A Must See! MLS#6539663. Keller Williams Realty Atl Part. Lanier Harbor Condominiums - Bring Your Water Toys For Fun At Nearby Sunset Cove & Lanier Islands! Additional Storage In Crawl Space. MLS#6539655. Keller Williams Rlty Consultants. Reserve At Ivy Creek - This Home Is Walking Distance To The Mall Of Ga & All The Great Restaurants Surrounding It. Come See It Today! MLS#6537780. Keller Williams Realty Metro Atl. Amenities Included With An Affordable Hoa Including Swimming Pool And Tennis Courts. MLS#8564670. Virtual Properties Realty.Com. Hamilton Crossing - Laundry/Mud Room Entrance Into 2 Car Front Entry Garage. MLS#8557981. Virtual Properties Realty.Com. Reserve At Ivy Creek - End Unit And One Car Garage. MLS#6531585. Palmerhouse Properties. Dog Lovers Will Love The Dog Room With Washing Station, Doggy Door And Invisible Fence! So Many Upgrades! ! MLS#8556976. Virtual Properties Realty.Com. Outside: One Of The Biggest Lots In The Neighborhood, Flat Backyard, Close To Spout Springs Shopping, Great Neighborhood Facilities, Awesome Location Close To 85! MLS#8557051. Keller Williams Rlty.North Atl. 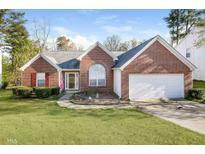 Sought After Schools And Just Minutes To The Mall Of Ga. You Are In Luck! *Lease Purchase Available* MLS#8556048. Buy N Sell. This One Will Not Disappoint. Welcome Home! MLS#8556203. Keller Williams Chattahoochee. (Virtual Tour Does Not Reflect Upgrades). MLS#8556008. Principle Properties Inc..
Millgate Crossing - Upstairs 3rd Level, 2 Bedrooms, Hardwood & 2 Full Baths, Full Tile, Exotic Granite, Elegant Design. MLS#6529915. Virtual Properties Realty.Com. This One Won'T Last Long. Perfect Sweat Equity. MLS#8556141. The Andora Group, Llc. Reserve At Ivy Creek - New Plumbing Fixtures.Across The Street Walk To The Mall Of Georgia. A Must See. MLS#6527905. Palmerhouse Properties. Millgate Crossing - Close To Shopping, Restaurants, Parks And Highway Access MLS#6526351. Bhgre Metro Brokers. Mill Creek - Community Pool And Walking Trail In The Private Nature Preserve. Come See! Won'T Last Long! MLS#6526207. Keller Williams Realty Community Partners. Chatham Village - Quick Access To Major Shopping Malls, Restaurants, And Entertainment, But Still Keeps The Quiet Atmosphere To Relax In Your New Property. Welcome Home! MLS#6525368. Keller Williams Realty Atl Part. Upstairs Has Catwalk , Nice Owners Suite, Private Owners Bath With Walk-In Closet. - Stock Photos MLS#8548727. Ccg Realty Group Llc. Daylight Basement Ready To Be Customized Leaving You Room To Grow. MLS#8545421. Ccg Realty Group Llc. Laurel Landing - Must See. Schedule Your Appt Today! MLS#6519440. Virtual Properties Realty.Com. Carlton At Hamilton Mill - Privacy Fence And Extended Patio In Back Yard... MLS#6516557. 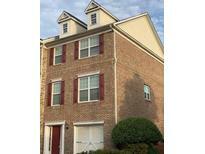 Chapman Hall Professionals Realty, Llc..
Carlton At Hamilton Mill - Easy Access To I85. Must See! MLS#6519211. Keller Wms Re Atl Midtown. Known For Their Energy-Efficient Features, Our Homes Help You Live A Healthier And Quieter Lifestyle While Saving Thousands Of Dollars On Utility Bills. MLS#8541840. Meritage Homes Of Georgia Inc. Desirable Location Near Coolray Field, Mall Of Georgia And I-85. Move In Ready! ! MLS#6518226. Berkshire Hathaway Homeservices Georgia Properties.